Mickey Avenue is the hometown of imagination, a welcoming, whimsical neighborhood filled with lively shops and restaurants. Located just inside the entrance to Shanghai Disneyland, Mickey Avenue is the first main entry at a Disney park that is home to Mickey Mouse and his pals, including Minnie Mouse, Donald and Daisy Duck, Goofy and Pluto. Guests will have the chance to learn more about Disney characters and their stories before entering the other themed lands. The biggest business in town and the largest shop in Shanghai Disneyland, Avenue M Arcade will offer guests a selection of apparel and accessories, gifts, home décor and jewelry. The Arcade’s specially designed façadehonors itsmostfamousresidents, who are representedasuniversalvirtuesonmosaic panels: Mickey Mouse (hospitality), Minnie Mousewith Figaro the cat (compassion), Goofy (optimism), Donald Duck (worldly), DaisyDuck (friendliness), Pluto and Fifi (generosity) and Chip & Dale(friendship). Even the checkout area is themed, as the First Bank of Scrooge McDuck. Mickey & Pals Market Café, a counter-service restaurant, will offer localized Chinese and international menus plus views of the nearby gardens, Fantasia Carousel and Enchanted Storybook Castle. Guests will gather here with family and friends, choosing a table in one of four themed dining rooms: Mickey’s Galley, Tony’s (from Lady and the Tramp), Daisy’s Cafe and the Three Caballeros. The Market Cafe, designed like an open-air market, will feature four exhibition kitchens and a mural celebrating the agricultural heritage of Mickey Avenue, with scenes of Mickey and his pals planting, harvesting and sharing happy times together. A French-inspired bakery based on characters from Ratatouille, Rémy’s Patisserie will offer a variety of breads, pastries and muffins, along with fresh desserts from the restaurant’s kitchen. Wooden shutters, flower boxes, sidewalk seating and French café-inspired graphics distinguish the exterior of the shop. The tiny scaffolds and ladders that line the wall are reminders that Rémy the rat, who loves to cook, is preparing something special in the kitchen. Sweethearts Confectionery represents the childhood home of Minnie Mouse. Created in a Queen Anne-style, the house is a candy store that celebrates Disney’s first couple, Mickey and Minnie. Inside the shop, guests will find murals and sweet scenes that tell the story of this couple’s courtship. Recurring design touches include flowers, hearts, bows and elements inspired by Minnie’s ubiquitous red-and-white polka dot dress. Guests will also find freshly handmade treats here, inspired by some of their favorite Disney characters. Unique main entry: For the first time in a Disney park, the main entry to Shanghai Disneyland will be the hometown of Mickey Mouse and his pals. First tribute to the original Mickey Mouse: The Steamboat “Mickey” fountain premieres at Shanghai Disneyland, in tribute to the 1928 animated film created by Walt Disney to introduce Mickey Mouse to the world. The fountain is a modern spin on the film, using a more current version of Mickey than Walt’s original. The fountain is at the park entrance, leading into Mickey Avenue. Created especially for Shanghai Disneyland, the Gardens of Imagination will celebrate the wonders of nature and the joy of imagination. 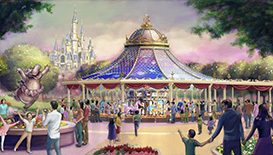 This land will contain seven individual gardens with themes of family, friendship and fun: Garden of the Twelve Friends, Melody Garden, Romance Garden, Woodland Garden, Garden of the Magic Feather, Fantasia Garden, and Storybook Castle Garden. Each garden will be filled with engaging activities, floral and woodland displays, and playful photo opportunities. At night, the mood in Gardens of Imagination will become dreamy, with music and a cascade of twinkling lights. It will be as if Tinker Bell and her Fairy friends are sprinkling enchanted pixie dust in every garden. “Mickey’s Storybook Express,” a spectacular daytime parade, will transport fantasy, romance, music and merriment throughout several lands of Shanghai Disneyland. Traveling along the longest parade route in a Disney park, the parade will be led by a whimsical locomotive. A line of themed “train cars” will follow, each with its own exciting musical soundtrack and colorful cast of performers. Each train car will feature the characters, story and music of a favorite Disney film. With magical surprises, “Mickey’s Storybook Express” will bring the park to life with joyful energy. Garden of the Twelve Friends makes its global premiere at Shanghai Disneyland, starring Disney and DisneyPixar characters in Chinese Zodiac style. This whimsical garden features 12 larger-than-life mosaic murals, each depicting a Disney or DisneyPixar character representative of a Chinese zodiac animal symbol. A plaque explains the personality traits of each character. Guests will enjoy finding their own character and taking photos in front of the mosaic wall, created by Chinese artisans. At the entrance to this land, a tall bronze sculpture of Walt Disney and Mickey Mouse will welcome all travelers to this happy place, Shanghai Disneyland. The statue is expected to be a popular photo location for guests, who may be inspired by Walt and Mickey’s spirit of friendship, and Walt’s dream of creating entertaining stories for all. 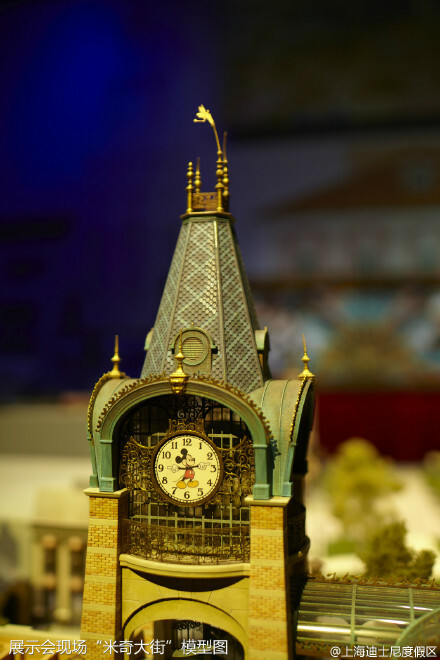 Fantasia Carousel was created especially for Shanghai Disneyland, with characters and symphonic music from the groundbreaking Disney film, Fantasia, including Mickey dressed as the Sorcerer’s Apprentice. Created by Chinese artists, this grand carousel will feature 62 magnificent, flying horses – Papa, Mama and Baby horses – and two chariots, painted in 72 optimistic colors. It is the first carousel in a Disney theme park to feature multi-colored horses, distinctly different from the traditional medieval-style horses at other Disney parks. A circus has come to the garden, bringing with it one of Disney’s most beloved characters—Dumbo, the baby elephant, known for his huge ears. With the help of a magic feather and his friend Timothy Mouse, Dumbo learns to fly – and guests will have the chance to soar along with him. Sixteen elephant vehicles will carry guests through the air, offering a magical sky-high view of Shanghai Disneyland. This timeless teahouse honors the restless, creative spirit of China’s wandering poets, as well as the diverse and beautiful landscapes that inspired them. The restaurant recreates authentic Chinese architecture, with symbols from the mountains, ocean, desert, forest and rivers. This will be the first time the story of “Wandering Moon” will be featured in a Disney park. Favorite Chinese dishes will be served at this quick-service location. First Garden land: The first land inside a Disney park designed as a garden, the Gardens of Imagination is tailored to the Chinese people’s love of gardens. 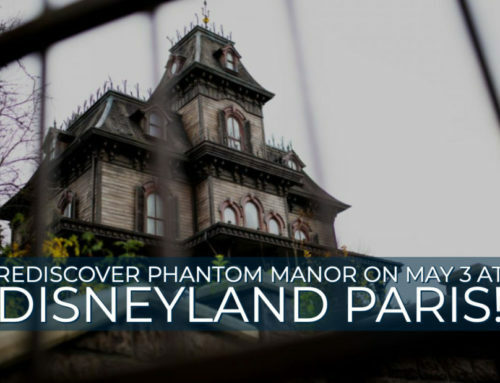 It includes a novel, terraced area for viewing castle stage shows and the nighttime spectacular. Chinese Zodiac murals: For the fist time,Disney and DisneyPixar characters will be depicted as representatives of a Chinese zodiac animal, in beautiful mosaic murals. Guests will get to learn more about these Disney characters and their stories, at Garden of the Twelve Friends. First Fantasia-inspired carousel: Guests will take a spin on Fantasia Carousel, the first carousel in a Disney park that features the music and mythical creatures from the classic Disney film, Fantasia. 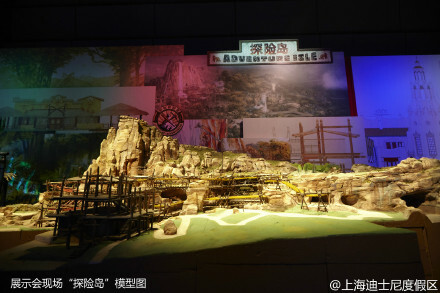 Adventure Isle, a place found only at Shanghai Disneyland, will immerse guests in a newly discovered lost world brimming with mystery and hidden treasure. Guests will easily find this land by the sight of the mighty Roaring Mountain, source of an ancient legend. The mountain’s sporadic rumbling is said to be the roar of a mysterious reptilian being who lives on the mountain, just waiting to be discovered. Roaring Rapids will take guests on a white-knuckle adventure through the heart of Adventure Isle. Riding a raft propelled only by gravity and water, anything can happen as guests plunge down a mountain and into a dark cavern where the undiscovered secrets of an ancient tribal legend and the reptilian creature Q’aráq are revealed. Only those who venture into the mountain will encounter the massive, mysterious Q’aráq. “Tarzan: Call of the Jungle” is an original production starring Tarzan and his friends, included as part of the entertainment at Shanghai DIsneyland. It’s a high-energy, musical retelling of the boy who was raised by apes to become King of the Jungle. Featuring the iconic score from the animated Disney feature film, Tarzan, the stage show is a fusion of theatrics, Chinese acrobatics and a rock concert. 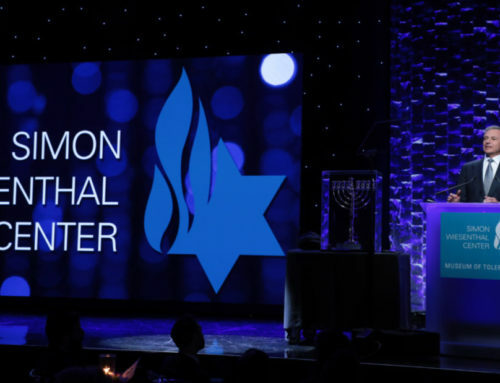 It will be performed at Storyhouse Stage, a center of song, art, and dance. Shanghai Disneyland is the first Disney park to offer Camp Discovery, a place where adventurers of all ages and abilities will gather to explore waterfalls, ruins and dig sites in search of ancient tribal relics. They may explore natural wonders and ancient legends, trek past waterfalls and discover tribal ruins in an elevated ropes course created specifically for this land. Guests will be able to choose their own expeditions at Camp Discovery, with some opting for the thrilling natural wonders of Roaring Mountain and others choosing to see the views and become immersed in science, nature, and history. Anyone who has dreamed of seeing the world or soaring like a bird will enjoy the exhilarating experience at Soaring Over the Horizon, with an aerial tour of the globe never seen before. High above some of the world’s most iconic landmarks, Soaring over the Horizon will take travelers on a voyage of discovery that tours every continent. Starting from an ancient observatory nestled in the cloud forest, guests will soar and explore spectacular scenic wonders, with special segments for guests of Shanghai Disneyland overlooking Shanghai and The Great Wall of China. An ideal attraction for the entire family, it offers an original story, a new walk-through experience and a new aerial tour. 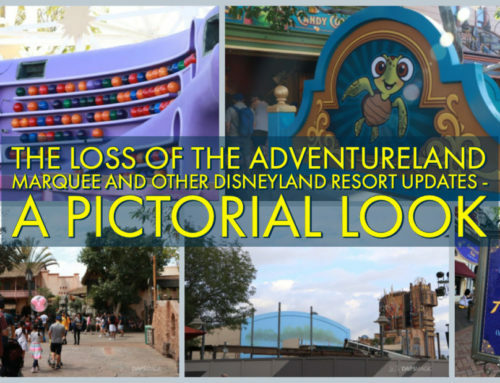 The attraction is an epic re-mastering of the popular attraction at Disney California Adventure, in the United States. The Tribal Table, a festive, art-filled restaurant, invites guests to come together for an appetizing meal in a sensory dining experience. Sights, sounds and smells will whet the appetite as guests enjoy the action of live cooking with fiery woks and rotisseries. This ancient gathering house in the Arbori village is the native heart and soul of the land, offering vivid flavors, a friendly atmosphere and beautiful artwork. The murals, artifacts and illustrations will dazzle visitors with scenes from a rich native culture. First Adventure Isle at a Disney theme park: Created from the ground up with a fresh story and original characters, this new land was specially designed for Shanghai Disneyland. For the first time at a Disney park, guests will discover Roaring Mountain, encounter the mysterious being Q’aráq, and blaze their own trails at Camp Discovery with a series of challenges, adventures and expeditions for everyone in the family. Untold story of an ancient civilization: Guests at Shanghai Disneyland will be the first to enjoy the story of the ancient Arbori people, complete with the unique décor, original music and legends of this newly discovered tribe. Honoring the Arbori admiration for nature, the attractions will feature water, land and sky. The story of Treasure Cove dates back to the 17th century, when piracy was a thriving enterprise in the Caribbean. In Disney lore, this Age of Piracy featured a band of seafaring rogues who chased legendary treasures, fought monsters and battled each other, always with a humorous glint in their eyes. Guests will be immersed in a pirate’s life as soon as they arrive at the entry, the first of five neighborhoods at Treasure Cove. From there, they will explore Shipwreck Shore, Fort Snobbish, Landlubber Landing and the Village, each with its own charm and personality. Pirates of the Caribbean: Battle for the Sunken Treasure is a spectacular indoor boat ride that will take guests on a rollicking adventure with Captain Jack Sparrow to steal the priceless treasure of Davy Jones. Seamlessly blending Disney storytelling and state-of-the-art technologies, the attraction features three large media domes, projected effects, lifelike animated figures, theatrical sets and sophisticated lighting to dramatically take guests on, over and even under the sea on a nautical adventure. With a new, highly controlled ride system, the boats can spin, travel sideways, and even move backwards to create a highly personalized experience. Guests will encounter fearless pirates, mermaids and even a kraken. Disney’s patented Audio-Animatronics and recent advancements in robotic technology will bring these pirates to a new level of realistic performance. Guests will experience a Caribbean island the way pirates first did – from the water – as they paddle real canoes through the waters of Treasure Cove. Along the way, they will enjoy the sights and sounds of the land. With the only propulsion coming from the guests and their paddles, the ride is quiet and stealthy, except when they must dodge attacks from onshore pirates shooting water cannons. Friendly and knowledgeable captains will lead each canoe and point out scenic highlights along the way. The elaborate and exciting stage production, “Eye of the Storm: Captain Jack’s Stunt Spectacular,” will make its global premiere at El Teatro Fandango. Starring Captain Jack Sparrow, “Eye of the Storm” brings fantastic stunts and swordfights, spectacular scenery, and stunning visual effects straight to the audience. Along with plenty of swashbuckling, the show presents light-hearted humor, a raging storm and a remarkable finale, as Jack fights off a Royal Admiral in a whirlwind adventure. Shipwreck Shore is a water play area located onboard the remains of a shipwrecked French galleon and the surrounding beach. Children and Pirate “wannabes” will explore and play “make believe” in an interactive zone where they can spray, splash, squirt and even climb amid random bursts of water, sound effects and animated elements. Shaded seating areas provide a comfortable viewing area for adults and parents to spy on all the fun. One of the largest restaurants in all of Shanghai Disneyland, Barbossa’s Bounty is a celebration of the free-wheeling pirate life. A lively, aromatic, colorfully ramshackle “grog shop,” it reflects the personality of its owner and namesake, Captain Hector Barbossa. Featuring spicy barbecue from pirate chefs who love to show off their cooking skills in the demonstration kitchen, Barbossa’s Bounty also offers guests the opportunity to enjoy their meal in the themed dining room of their choice. Guests may also choose the extraordinary experience of dining inside the thrilling attraction,Pirates of the Caribbean: Battle for the Sunken Treasure. First Pirate-themed land at a Disney park: Treasure Cove brings the first pirate-themed land in a Disney park to Shanghai Disneyland. With authentic re-creations of a pirate world and state-of-the art attractions, Treasure Cove will present the raucous life of a pirate with drama, humor and extraordinary detail. New, highly controlled ride system: Along with the grand scale of storytelling in Pirates of the Caribbean – Battle for the Sunken Treasure, guests will enjoy the benefits of a sophisticated, highly controlled boat system, premiering in Shanghai. The boats are able to spin, move and react smartly to their position, triggering action and synchronized music as they travel through breathtaking scenes and lively battles. Debut for pirate stunt show: “Eye of the Storm: Captain Jack’s Stunt Spectacular” will make its global premiere at Shanghai Disneyland. The elaborate, exciting stage production features sword fighting, stunning visual effects and a whirlwind finale. The land’s aerodynamic design, technological edge and bright promise of tomorrow make it attractive for guests seeking new worlds of adventure. 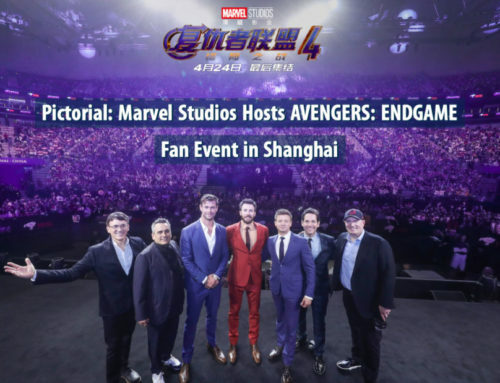 They will learn that Shanghai was chosen by Sam Flynn as a location for the permanent portal between Earth and his computer world of TRON; that the United Galactic Federation selected Tomorrowland as the ideal location for their Stitch Monitoring Station; and that Buzz Lightyear chose Tomorrowland as his Earth-bound Star Command station for the recruitment and mounting of planet-saving missions. With the world premiere of TRON Lightcycle Power Run, the future world comes to Tomorrowland, through the inspiring story of the Disney film TRON: Legacy. Riding atop individual, two-wheeled Lightcycles, guests will be launched across a canopied section of track – the Upload Conduit – before diving high-speed into a mysterious game world of lights, projection and sound effects. Guests waiting to board will have fun imagining the future world as they listen to the evocative soundtrack and watch the Lightcycle trains twist and turn all around them, all under a color-shifting canopy. Even at a distance, guests will marvel at the massive, undulating canopy. Covered in a translucent material, it reveals the pulsing glow of Lightcycle trains as they zip through the attraction. The entire canopy is edged in a dramatic, blue-green ribbon that changes color as it rolls across, over and around the Tron Plaza, like the tail of a dragon. Guests will join a mission to help save the day on Buzz Lightyear Planet Rescue, an interactive adventure inspired by the DisneyPixar Toy Story films. 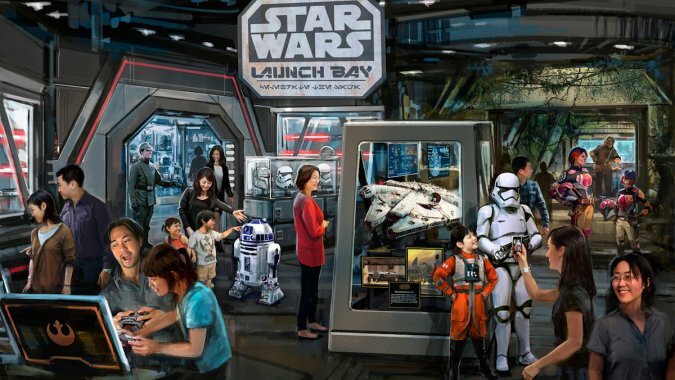 The immersive, new storyline combined with a new, interactive targeting system will make this one of the most engaging attractions at a Disney park. The attraction features cosmic visuals, animated targets, LED screens and real-time feedback from the targeting system. As the story goes, the Evil Emperor Zurg is threatening to destroy the home planet of the Aliens. Buzz Lightyear calls out for more Space Rangers and park guests become his newest Star Command recruits, boarding their own spaceships and shooting on-board blasters with individualized colors. For every target hit, guests rise higher in the ranks of Buzz Lightyear’s elite squadron. On Jet Packs, guests will become sky pilots, taking off on transportation of the future. Strapped into individual Jet Packs and with legs dangling, pilots will enjoy the thrill and wonder of flying. At the center of the attraction, the energy sphere will spin faster and faster as the ride progresses. Guests will be able to control how high their Jet Pack goes and, the higher they go, the more the vehicles will pitch forward. From their sky-high vantage point, pilots will have a breathtaking view of Tomorrowland and the rest of Shanghai Disneyland. In this celebration of the Star Wars Galaxy, guests will meet heroes and villains of the saga, visit iconic intergalactic set-pieces, view props and memorabilia from the most recent Episode, and be immersed in the Skywalker story through a state-of-the-art cinematic experience. Near the entry to Tomorrowland, guests will have an exciting opportunity to encounter some of the popular Marvel heroes and their super-powered tech. Guests will attend a multimedia mission briefing on the thrilling world of Marvel, get up-close with some of their favorite Marvel heroes and learn to draw some of the characters, just like a real comic book artist. With new humor and content for the Shanghai Disney Resort audience, Stitch – known as “Experiment 626” – engages in unrehearsed conversations, plays games, makes jokes and takes guests for a spin around the galaxy in “Stitch Encounter.” This real-time, interactive, live animated show will take place in one of two intimate theaters in Tomorrowland. It stars Stitch, the mischievous, animated alien from the Walt Disney Pictures animated film, Lilo & Stitch. From the upper concourse of Tomorrowland, Stargazer Grill will offer some of the most spectacular views in Shanghai Disneyland. From the outdoor deck, guests will be able to see the Enchanted Storybook Castle and beyond as they enjoy Chinese and Western food, including a variety of burgers. The largest restaurant in the theme park, Stargazer Grill will celebrate the architectural forms of Tomorrowland with a rippled sculptural design and a mix of futuristic comfortable seating positions. Natural light, sleek technology and the gracefully curved ceiling will create an understated sophistication, while glass orbs of light twinkle from the ceiling like stars in the sky. First TRON Lightcyle Power Run attraction and innovative canopy: TRON Lightcycle Power Run makes its global premiere at Shanghai Disneyland. For the first time at a Disney park, guests will board Lightcycles, two-wheeled vehicles that take them inside and out on a coaster-like attraction with high speeds and rich storytelling. The attraction’s canopy is made of a lightweight, reflective material with special color-shifting edges, enhancing the guest experience. New target system and Space Cruisers: On Buzz Lightyear Planet Rescue, guests will engagean innovative target system with real-time feedback and more than 100 targets, the most in any Buzz Lightyear attraction worldwide. The attraction also premieres a story line created for Shanghai Disneyland, with Buzz as a Space Ranger who recruits guests to board new vehicles – Space Cruisers – to help him fight the Evil Emperor Zurg. 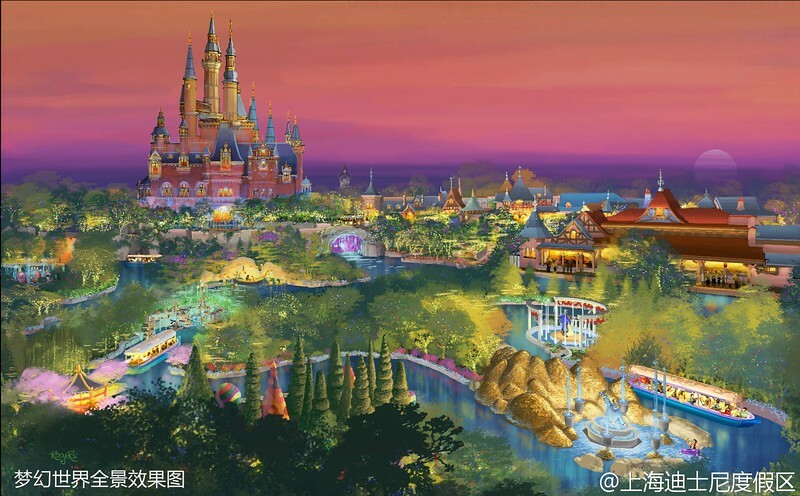 Fantasyland, inspired by Disney’s animated films, will be the largest of all the lands in Shanghai Disneyland and home to the majestic Enchanted Storybook Castle. The castle overlooks a storybook village and an enchanted forest, while exciting attractions immerse guests in beloved stories. Every corner of Fantasyland will offer a magical experience that embraces, involves, and engages the entire family. Voyage to the Crystal Grotto will be an enchanting excursion that travels the waters of Fantasyland. Fanciful fountains and sculptures line the water’s edge, celebrating classic tales of magic and imagination. At journey’s end, guests will glide beneath Enchanted Storybook Castle, into a secret, underground chamber in which fountains of light will leap and dance in shimmering pools, surrounding guests with magic, music and color. The experience is sure to inspire the dreams and imaginations of all who make this wondrous voyage. Inspired by Disney’s classic animated film Snow White and the Seven Dwarfs, this family-friendly coaster will take guests into a fabulous mine glittering with jewels, where the Seven Dwarfs sing happily as they work. Guests ride in a train of mine cars that winds through rolling hills, with views of pools and waterfalls as they leave the mine and dash on toward the cottage of the Seven Dwarfs. Each mine car is mounted in a cradle-like pivot that allows it to swing back and forth as the track turns. Guests will enjoy music from the classic Disney film, along with a cast of animated figures and helpful forest animals. In the Hundred Acre Wood, Hunny Pot Spin is a delightful family attraction where guests ride inside whirling honey pots – in honor of Winnie the Pooh’s favorite food. “Hunny” is the way Pooh labels his ceramic jars filled with honey. Beneath a canopy strung with honey-dripping hives, friendly bees hum the Winnie the Pooh song to accompany the twirling guests. How fast each honey pot spins is determined by the guests, who will add speed by turning a wheel in the center of the honey pot. The honey pots, labeled in English and Chinese, are painted in loving detail, and each pot appears to be dripping with honey that oozes down the side. Designed especially for Shanghai Disneyland, this maze is the first attraction at a Disney park themed to Tim Burton’s live-action film Alice in Wonderland. 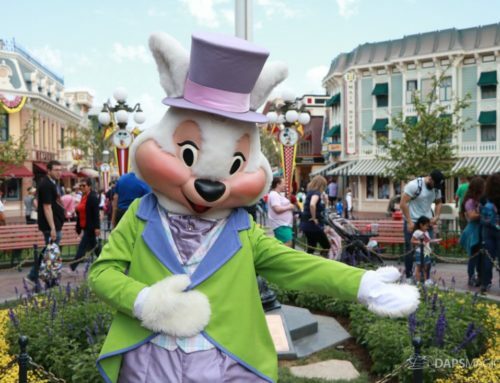 In the experience, guests will choose their own path as they wind through the delightfully whimsical world of Wonderland on their way to the Mad Hatter’s Tea Party. Along the way, they may encounter the Cheshire Cat, the White Rabbit and sculptures of characters, including the tyrannical Red Queen. In a maze of sculpted hedges, stone garden walls, giant flowers, and whimsical sculptures, there’s fun at every turn in this delightful family adventure. Aboard a “flying” ship in Peter Pan’s Flight, guests will sail through the skies over London and off to Never Land. There, Peter Pan will lead guests through a series of remarkable adventures to confront the villainous Captain Hook and his pirate crew. With an exciting, new ride system, guests will soar as never before into this action-packed story of the boy who encourages imaginations to fly. In this classic attraction, updated for Shanghai Disneyland, new Disney magic brings the ships closer to the action and face to face with the characters, as they are engulfed in Pixie Dust. Located in the Fantasyland forest, Tangled Tree Tavern is inspired by the Snuggly Duckling, the pub featured in Disney’s animated film Tangled, the tale of Rapunzel. Warped by time and the roots of the large tree nearby, Tangled Tree Tavern is full of rich details and an atmosphere befitting the boisterous ruffians and thugs in the film. Guests will enjoy a hearty meal in this lush woodland environment. Maiden voyage: Voyage to the Crystal Grotto, an enchanting new excursion, is the first attraction to take guests underneath a Disney castle. Traveling beneath the Enchanted Storybook Castle, guests will discoveran original story and a magical world. Inverted-coaster ride system: The flying sensation in Peter Pan’s Flight will be enhanced by a newly developed inverted-coaster ride system, debuting at a Disney park for this attraction. With new magic, the ride vehicles swoop closer to the action with varying speeds, enabling guests to become more immersed in the story as they fly in and out of each scene.